I donated 15 euros. Good job. So you call yourselves "alternativas libres" dot ORG (free alternatives in Spanish) and have a dot ORG domain and DEMAND a "donation" in order to download full maps? What kind of ORG does that? And why do you call it "alternativas libres"? You should rename the institution to "alternativas un poquito libres" (a little bit free alternatives) instead. You can download completely free maps of more than 70 countries. As you can imagine, making and manteining these maps and this website requires a lot of work (literaly thousands of hours invested in the project) and I think it is reasonable to get something in return for such work. 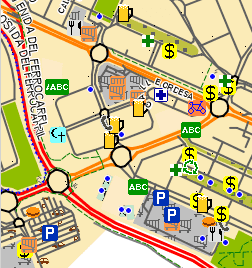 If you don't want to collaborate, even you can download individual maps for free. I've sent you registration info to your mail. Just sent you a donation via PayPal. Hi there - just made a 20Euro donation. Super site and well done. Thank you very much. I have sent you registration info by email.